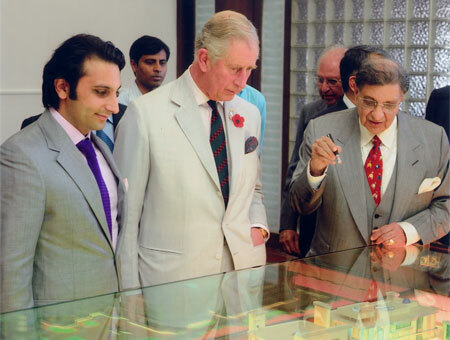 His Royal Highness Prince of Wales with Dr. Cyrus S. Poonawalla and Mr. Adar C. Poonawalla during his visit to Serum Institute on Sunday the 10th of November 2013. His Royal Highness the Prince of Wales made a private visit to Serum Institute on 10th November 2013 as he was keen to know more about the manufacture of inexpensive yet high quality vaccines that saves the lives of millions of children across the globe. He was also interested to know more about the work going on in the healthcare sector and the timeline it takes to manufacture a vaccine. His interactions with scientists of Serum Institute revealed his keen interest in the newer pneumocococcal vaccine being developed at the Institute and also the MMR vaccine.